Scientific Library can be considered the main municipal education and information establishment that has been accredited as main regional library. It is the biggest public library in Zemgale region and possesses a collection of 127 thousand items (sectorial, reference, fiction, periodical, audio-visual and electronic documents). Library receives approximately 200 visitors every day. Apart from traditional search options (catalogues, reference materials) one can also use electronical databases or use internet free of charge. 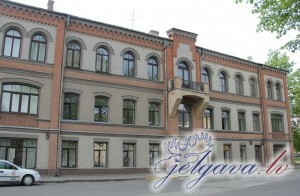 Library serves as a consultations and methodical centre for 28 regional and municipal libraries in Jelgava district and is attended by inhabitants of neighbouring districts as well. The building of the Scientific Library is an architectural monument of local importance - it is one of few buildings that has rsurvived the devastation of world War II.